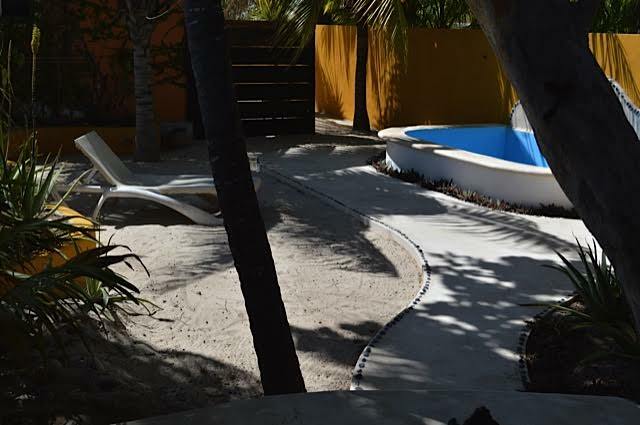 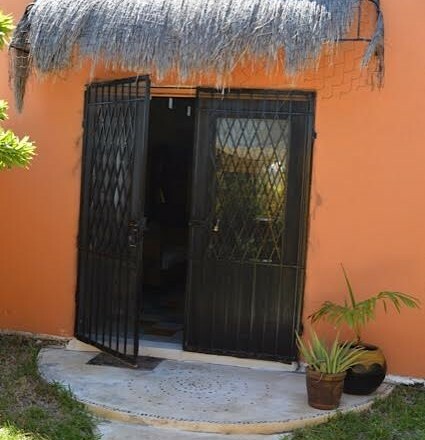 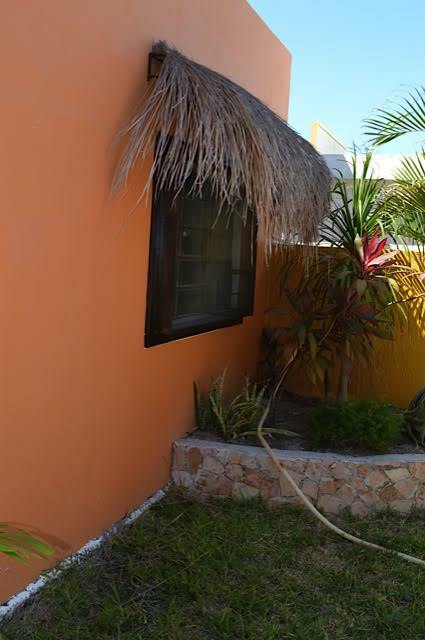 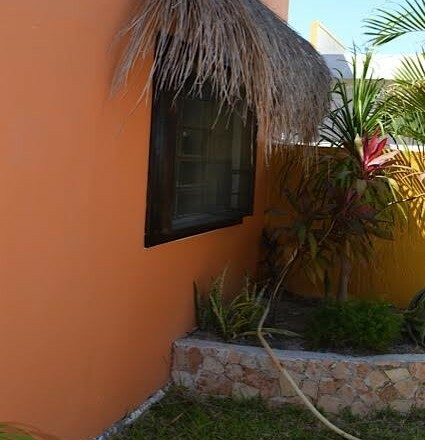 This lovely beach home in Chelem is located only three blocks from the beach… close enough to walk easily, but far enough to avoid any damaging effects of waves and wind during a storm. 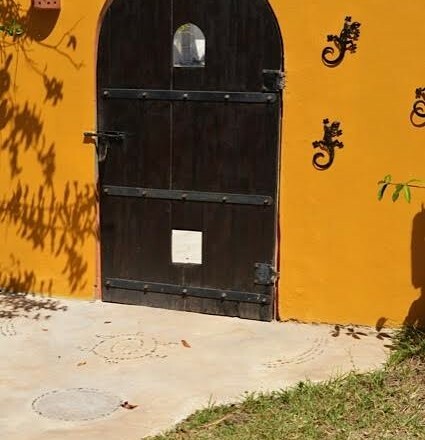 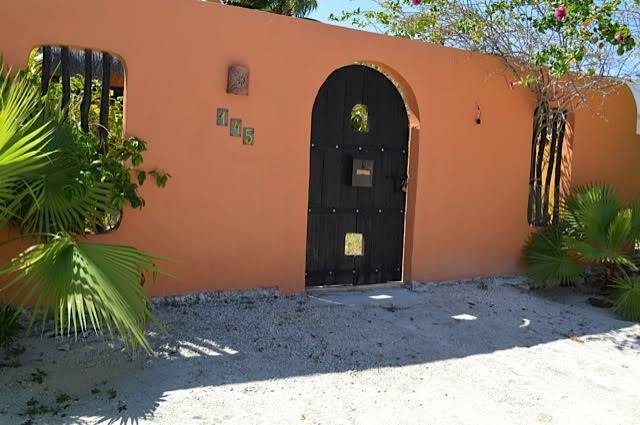 The house features 2 bedrooms and 2 bathrooms on a lot that measures 8.5 meters (27 feet) of road frontage by 42 meters (138 feet) of depth, facing two streets and allowing for two different ways to access the property. 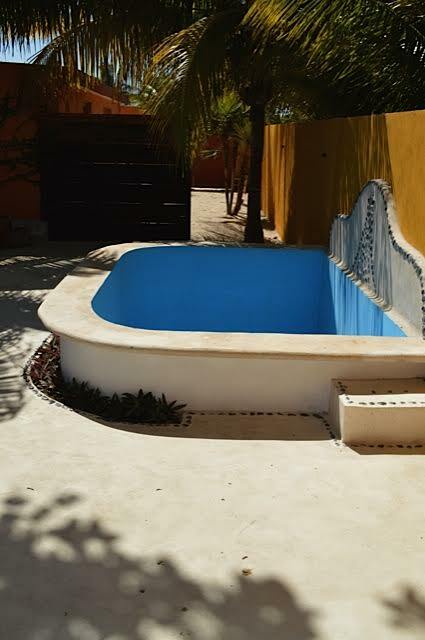 The small front courtyard, the house and the garden and a filtered swimming pool in the back are totally walled in. 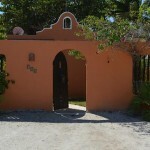 There is also an off-street parking area for two cars. 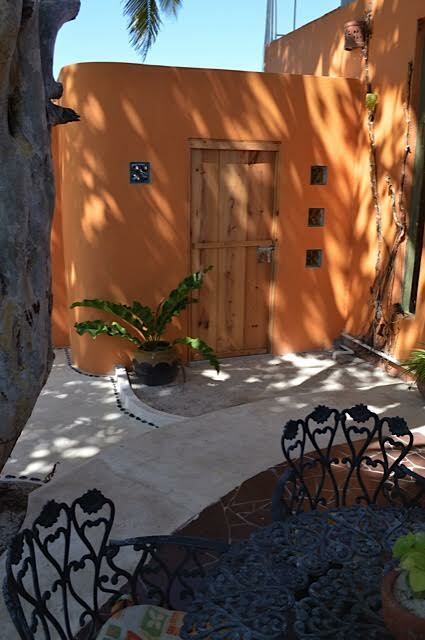 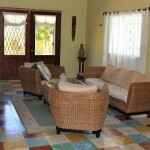 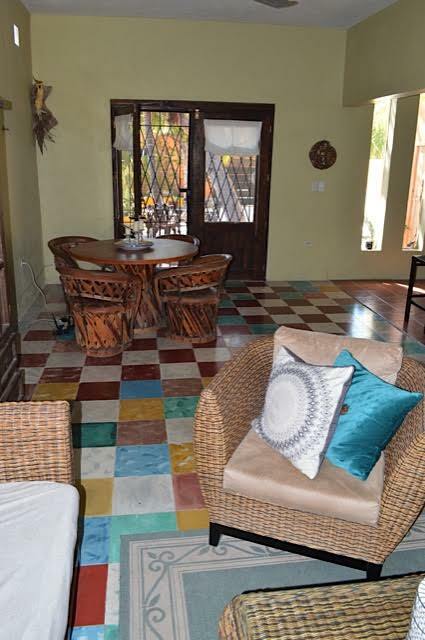 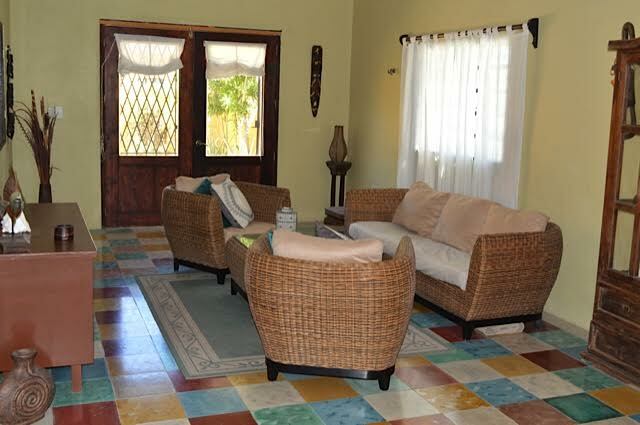 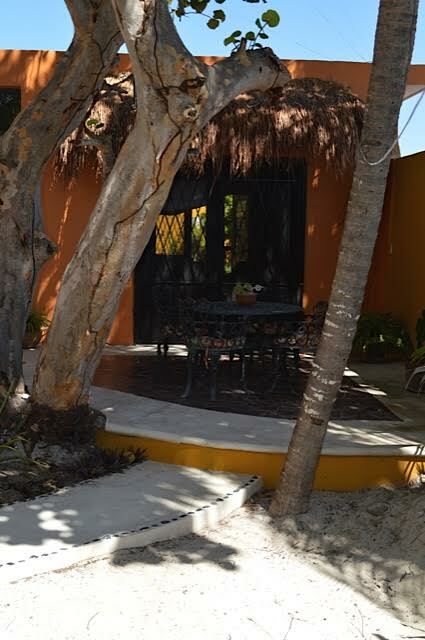 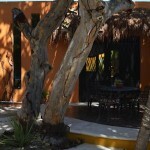 Inside the house, you can enjoy the sea breezes through the tropical vegetation that surrounds the house. 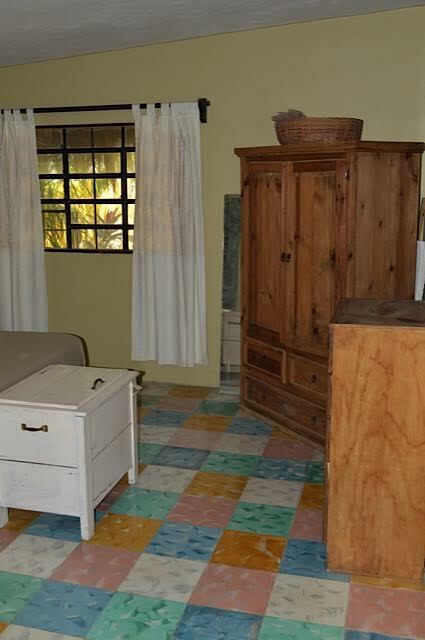 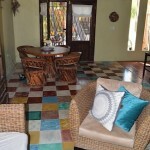 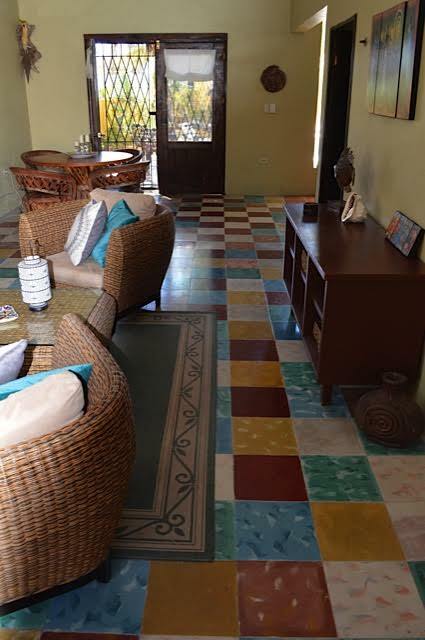 Colorful tile floors brighten up the rooms that are filled with filtered light under high ceilings, allowing for more air flow. 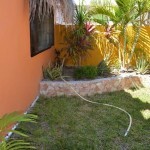 The house actually consists of two buildings, separated by gardens and a winding pathway. 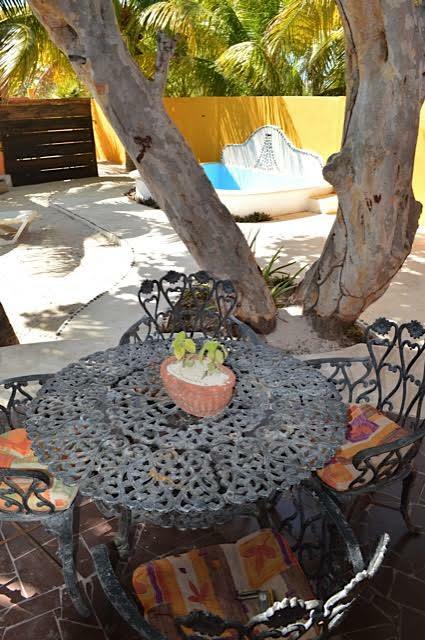 The kitchen opens up to the garden through French doors onto a wooden deck, a perfect place to sit and drink your morning coffee. 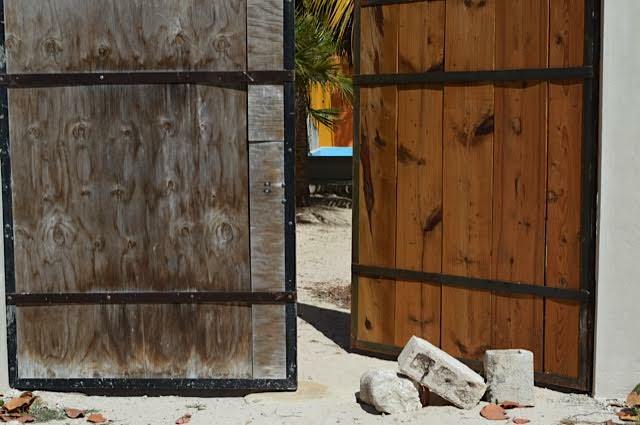 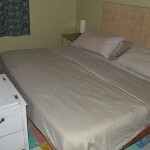 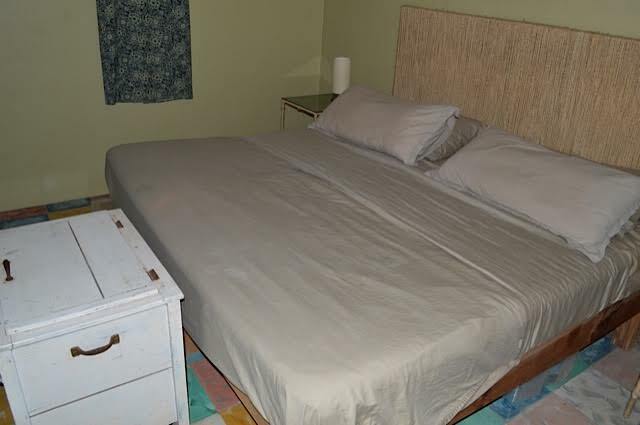 There is a studio apartment in a separate building that could be rented out for extra income. 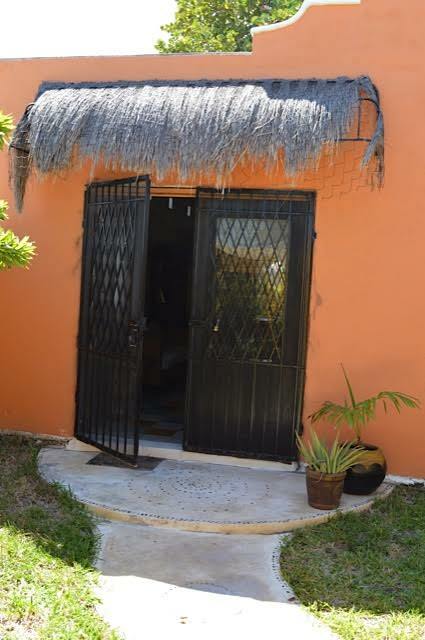 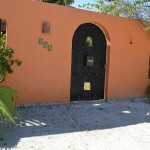 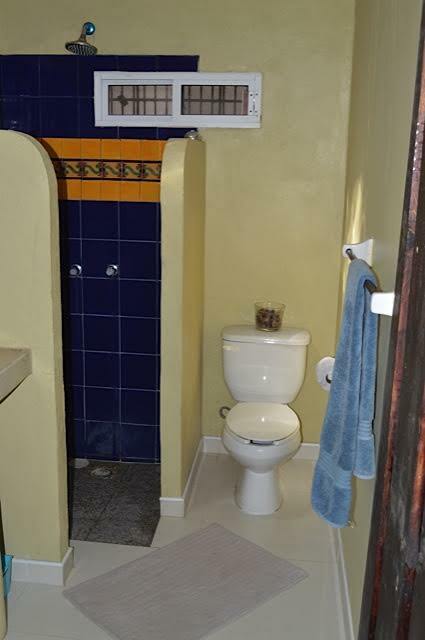 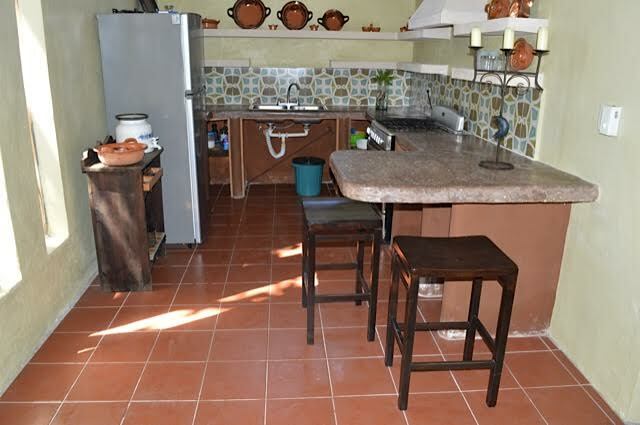 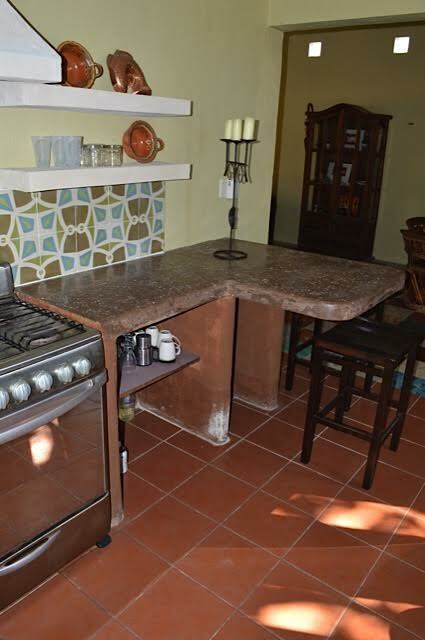 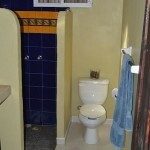 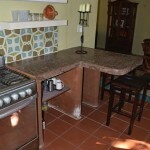 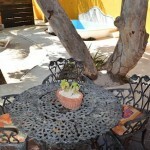 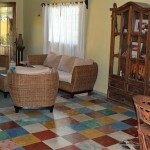 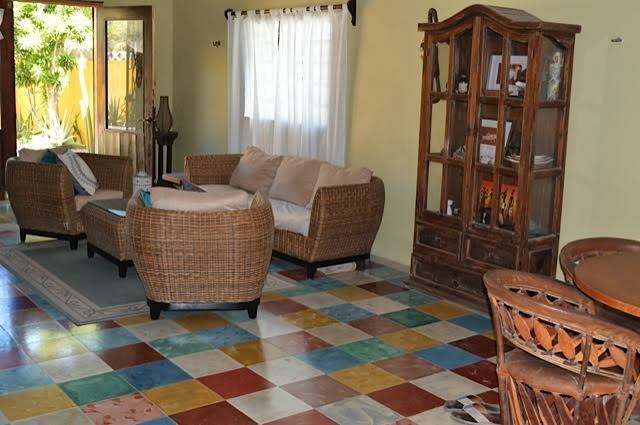 This is a lovely property close to the beach… a great find! 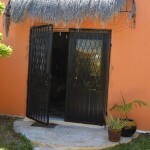 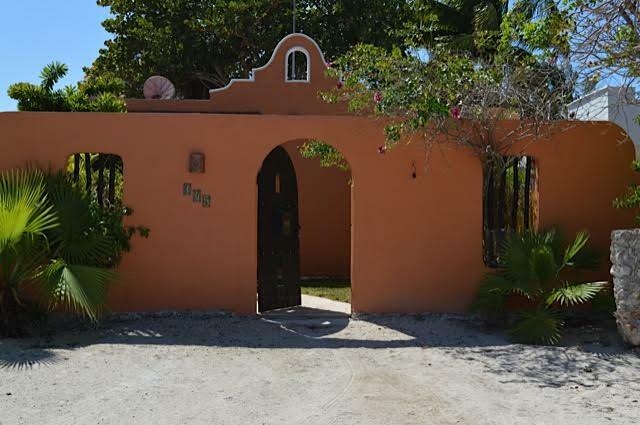 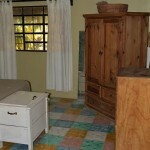 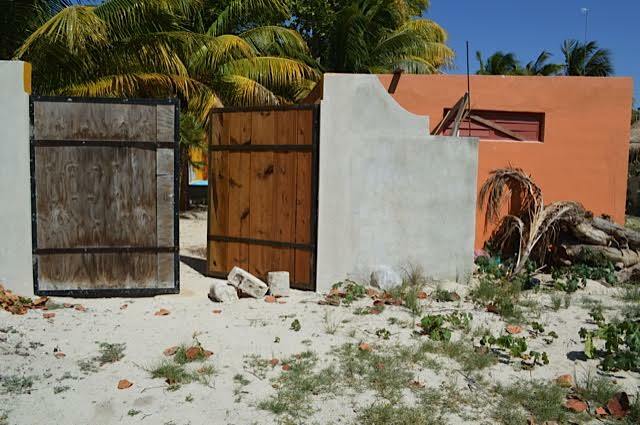 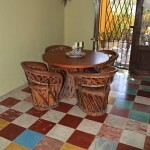 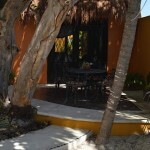 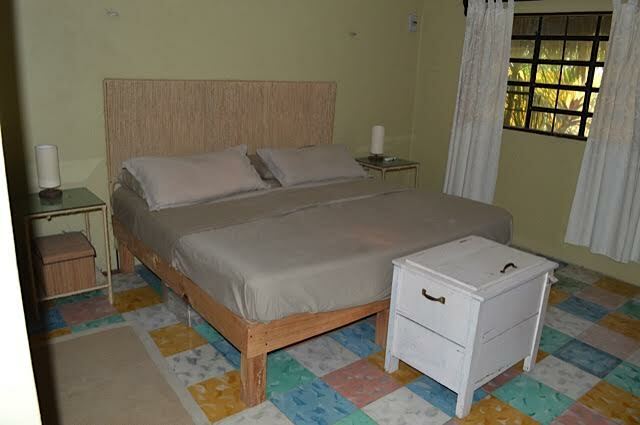 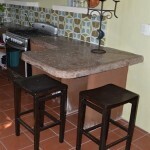 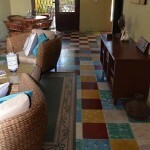 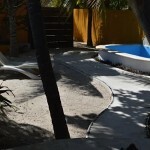 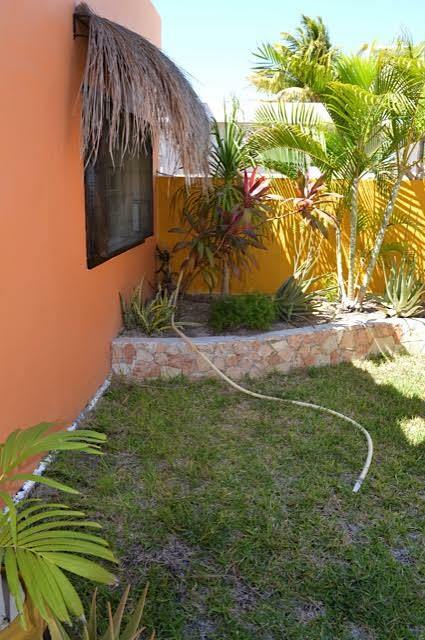 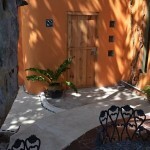 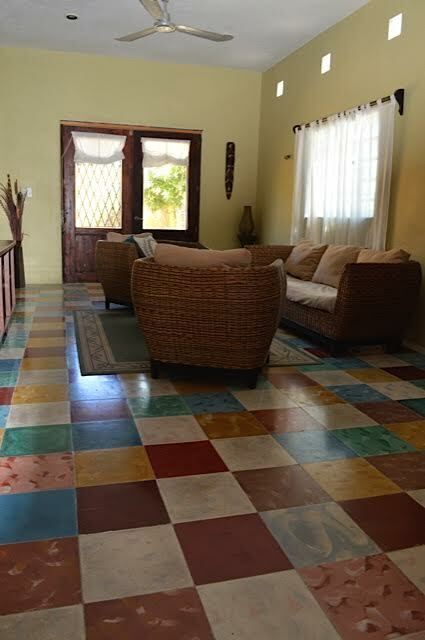 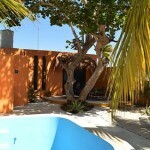 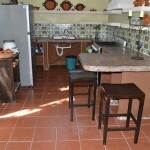 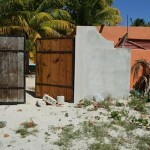 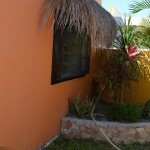 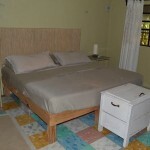 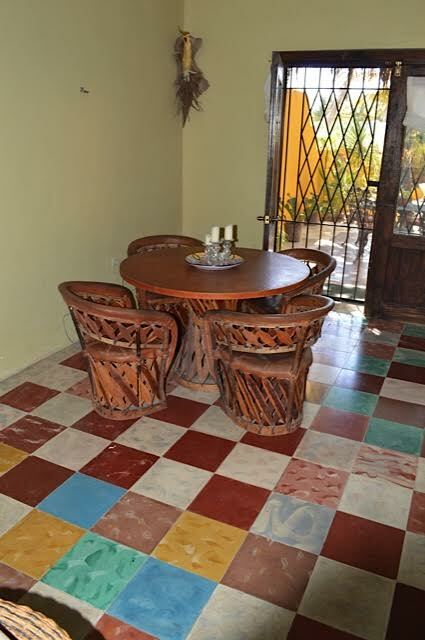 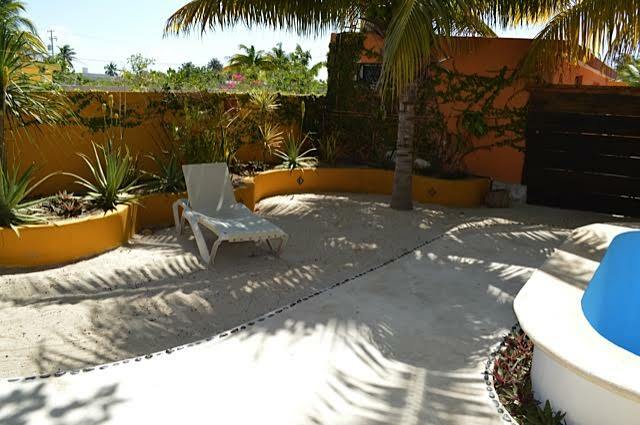 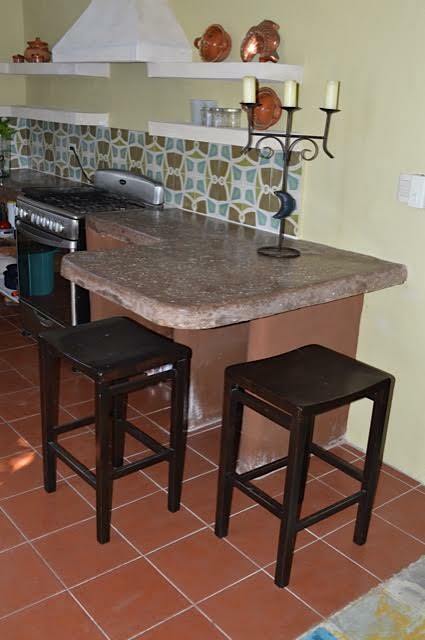 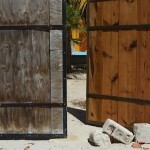 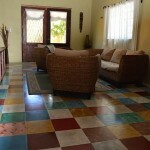 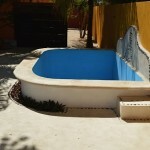 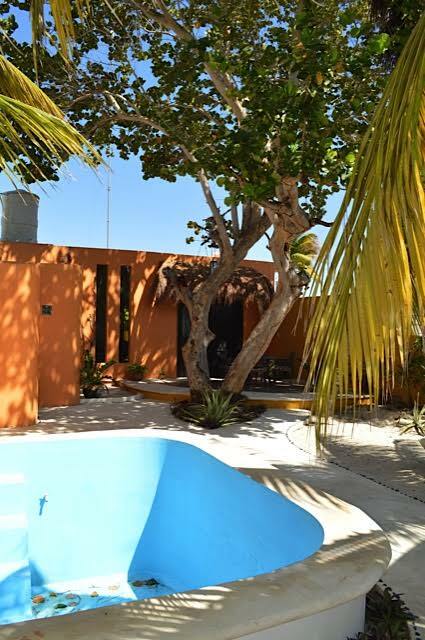 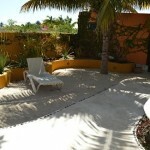 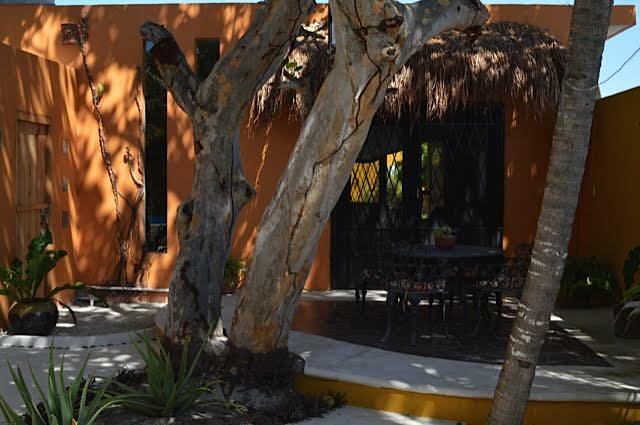 The current sales price has recently been reduced from $129,000 USD. 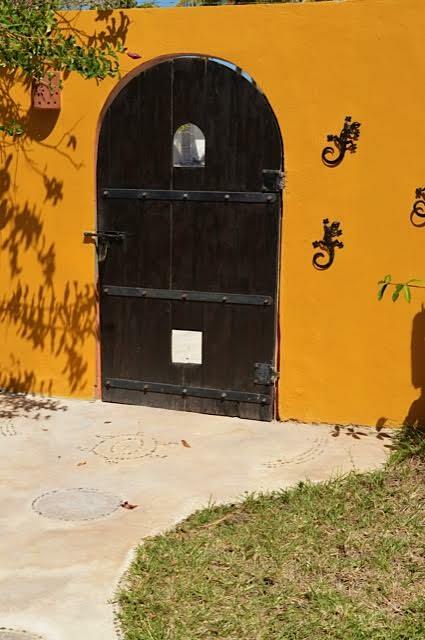 Don’t miss this… someone is going to pick up this prize sooner than later!